We imagine having a car like this to drive to work makes the journey much more palatable. 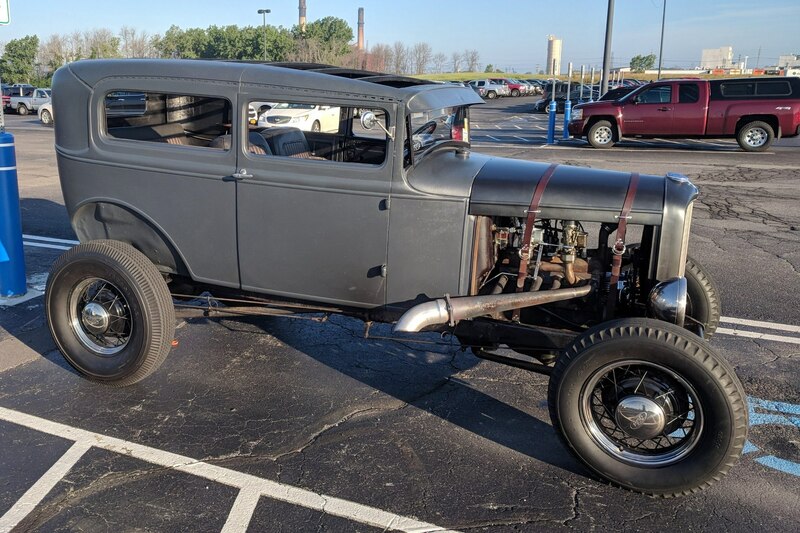 This 1931 Ford Tudor was seen in a Tonawanda parking lot over the summer by RealRides’ staff member Andrew Corbran (yes, there’s a bit of nepotism on the RR staff). The lack of a fabric cover on the roof — along with no windshield wipers — seem to make this a fair-weather RealRide. Looking at those pipes, one would think it’s also a bit loud, but, kudos for the driver for not just letting this old gem sit around gathering dust!